Feeling a bit better.....and itching to do ANYTHING! Been feeling a bit better over the last few days......and just itching to do ANYTHING in the shop. 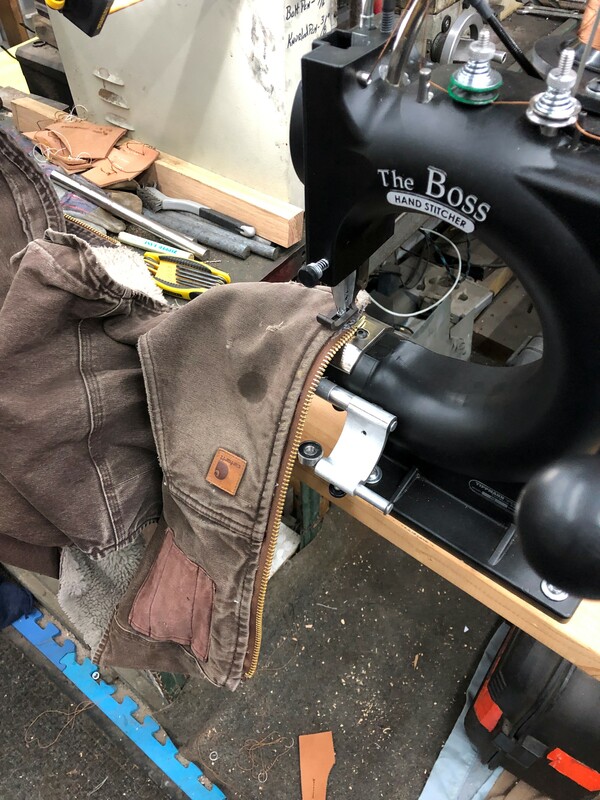 Since my newest toy is the Tippman Boss stitcher, I thought I'd work with it..... but not sheaths! 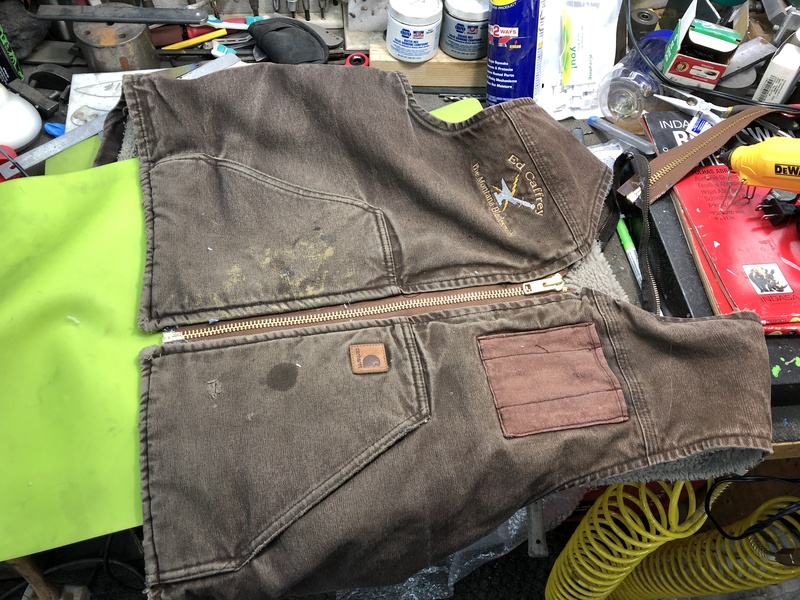 I love my Carhartt vests, but they simply don't last more then a year or two in the shop...... almost always, something goes wrong with the zippers before the rest of it's worn out.....so I decided to be a seamstress today! I picked up some heavy duty zippers for cheap as a local flea market (paind $2 each) a long while ago, and they were the 15" length I needed! 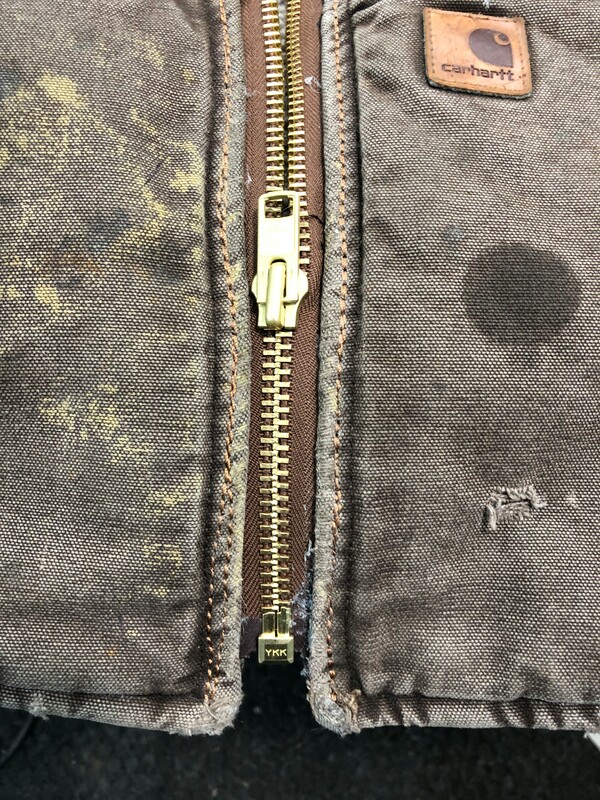 Toughest part was getting the old zipper out! Carhartt must use kevlar thread of something....because I new razor blade would do about a 1/2 dozen stitches, and cut no more. Eventhough this machine isn't powered, and it's all your hand pulling/pushing a lever, it is pretty darn fast. Timing it, and not trying to be a speed demon, each side took less than 4 mins to sew. 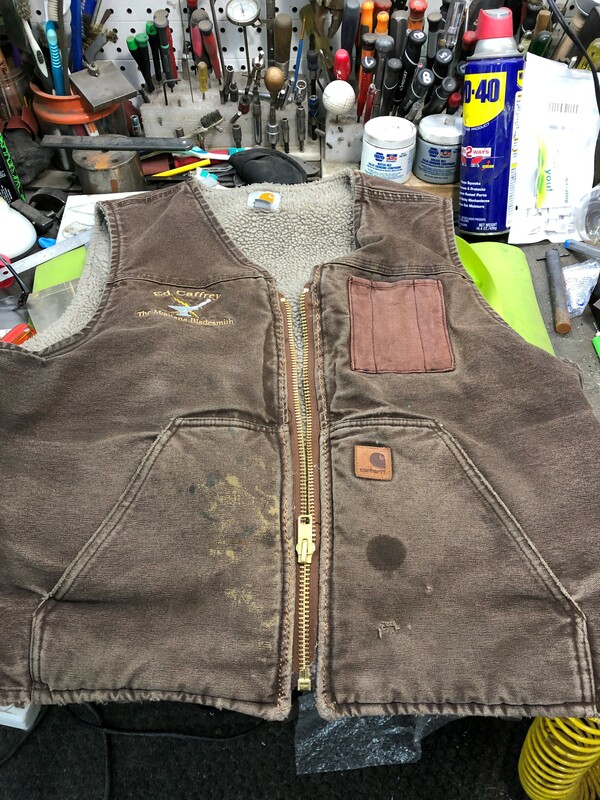 Now I think I can stretch at least another year of shop wearing outta the vest...... and maybe I've got another sideline.....sewing heavy stuff that most can't . Awesome! Glad your feeling at least a little better! 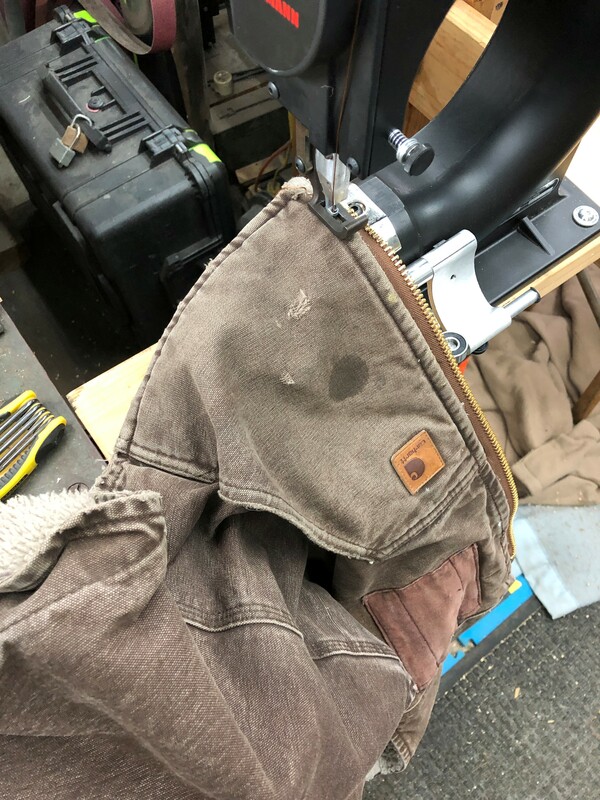 I do love those carhartt jackets!I’ve had one for several years that I wear all the time that’s had oil, Diesel and who knows whatever other fluids on it from ranching and it still going strong. All stained but not a single tear and the zipper still works which is more than can be said for some of my other coats. Good...it's not just me...lol. They must all be that way...? your talking tension settings? Stitches look real good Ed. Good to see you back in the shop. Praying for your continued healing! God bless!! I'm glad your feeling better and was able to get to the shop. A little side note - One of your videos came up on my You Tube Recommended. It was on correctly applying Tru Oil. Thank you! I wish it would have been recommended months ago . Continued thoughts, prayers, and smoke for your recovery. If you need something else to do you could make one of your flippers and mail it to me. It does not have to be damascus or anything regular 1084 will work...Glad you are feeling better at least the human mechanics got that part done. Glad to hear your feeling better!! Give it Hell Ed!! Great job! And it sure is nice to hear that you're feeling a bit better!